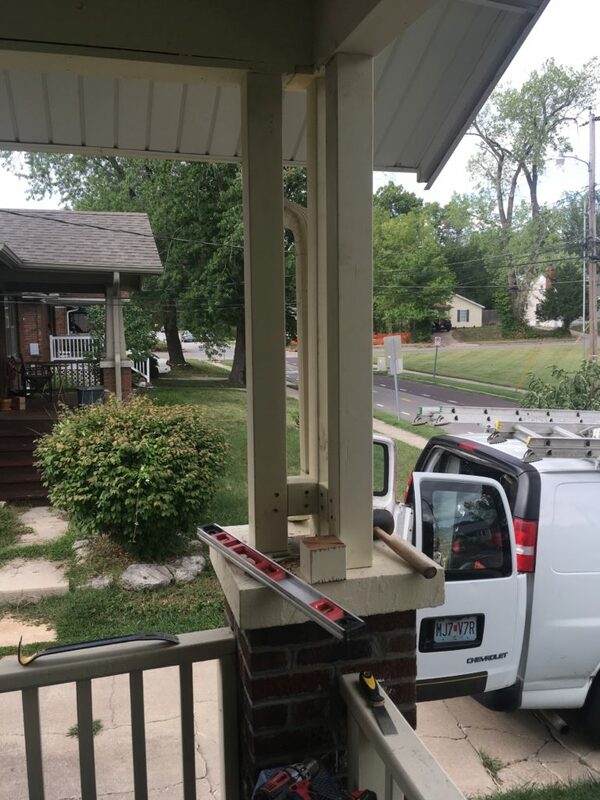 We’ve wanted to upgrade the columns on our front porch for a while. Although Jonathan very ably rebuilt the stairs a few years back, the 4 x 4s always bothered me. They were clearly installed by someone interested in simply propping up the roof, rather than making a decorative statement. 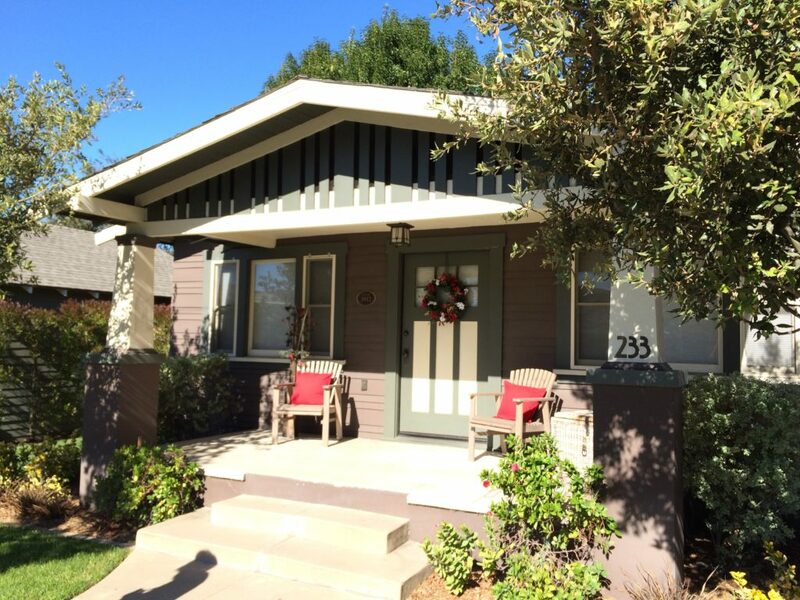 What I wanted was tapered columns like the California Craftsmans in the town where I grew up. 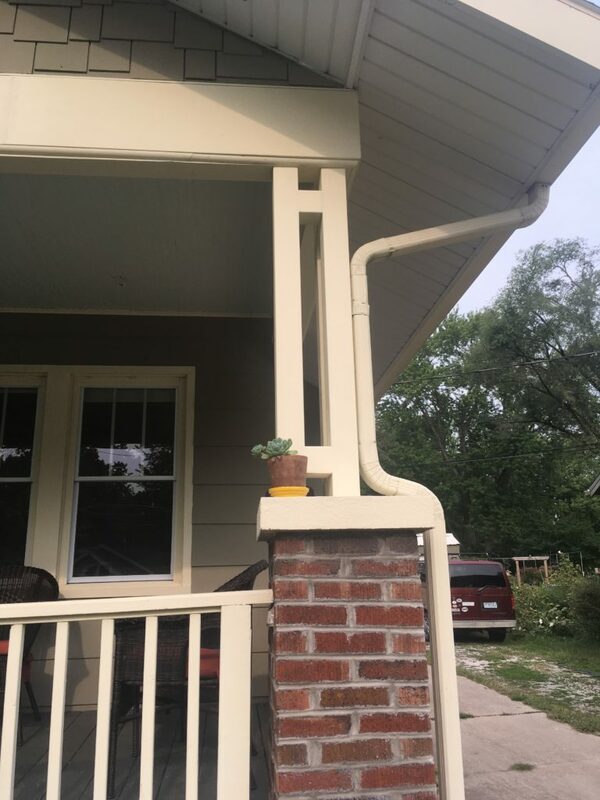 What Jonathan could tell right away, and what I insisted I confirm with any number of carpenters, was that the porch was aligned in such a way that to truly hold up the porch roof, the tapered columns would be radically off center of the brick bases. 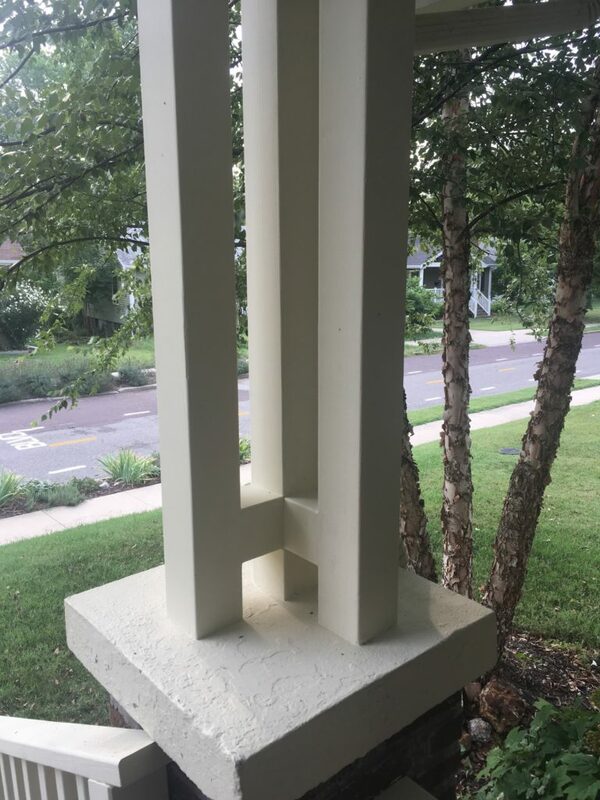 It took a while for me to come to terms with losing that option but we did have photos of the original columns—not tapered posts but thankfully more decorative than 4x 4 timbers. There are also several other bungalows on our street with similar porch columns so at least we’d be historically accurate. We had the same friend who replaced the vinyl on our gables with shingles do the work and it was a quick job—less than two days. They came out looking fantastic. 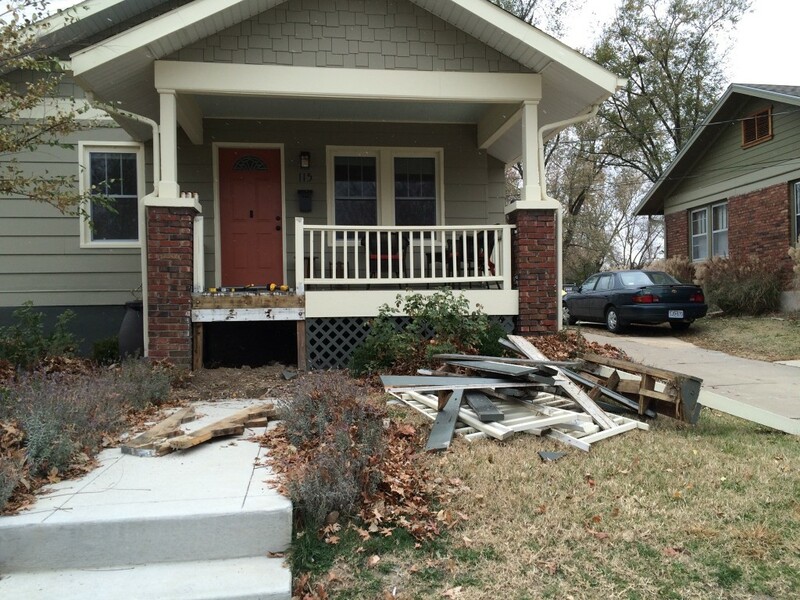 Despite the fact that they take up more space than the simple posts, the entire porch feels more open now. 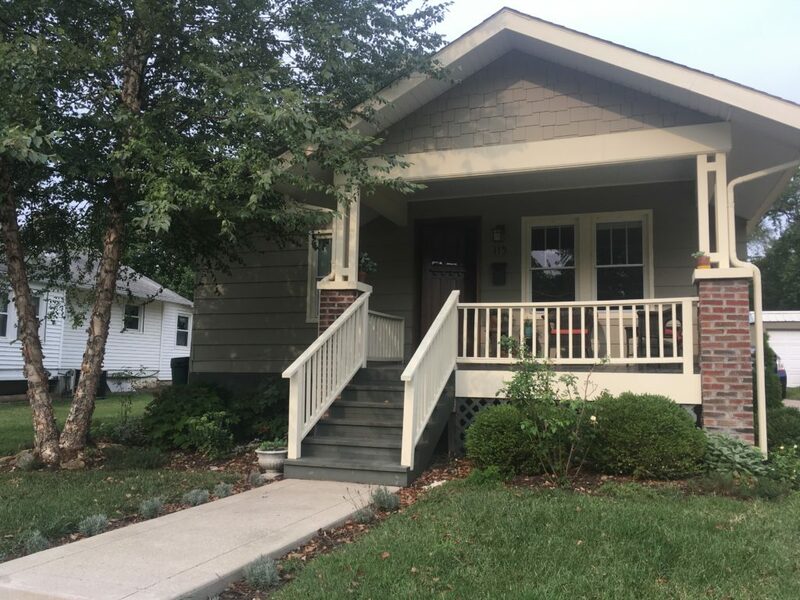 We’ve reworked the front of our house multiple times—painting; adding shingles; tuck pointing the brick; replacing the porch light, mailbox and address numbers; laying a new walkway; installing a new door; and even landscaping around the porch itself. This latest upgrade is a good reminder that not everything can be done at once. We’ll consider it complete at some point but until then, it’s certainly keeping us busy. 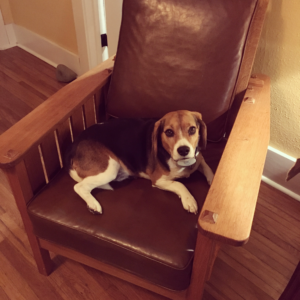 2 Responses to "Restoring the Porch Columns"